I grew up in abandoned salt marshes, my playground. Running for hours amongst the Statice Sea Lavender, on mud levees and embankments, pole vaulting old sea channels to the sounds of Blue Throats and Avocets; what else would a boy want? I spent hours by a Fort-like salt loft, stone ruins and last landmark of a once prosperous time. I’ve often wondered what it must have been like, 1750 to 1950, when the last “Paludier”( from Latin Paludis meaning Marsh, hence the word Paludism), the last salt harvester finally retired. Decades later, this land once reclaimed was being called back by nature, leaving echoes to the imagination, patrolled by marsh harriers as lonesome shepherds. Life has a funny way to answer a child’s question. Few years later, I became a trainee wildlife guide, in the Regional Park of Brière, not too far from Nantes or the harbour of St Nazaire, the place that launched a thousand ships… Well, a good few anyway! One of the visits was of course the Salt Marshes of Guérande, still going strong with almost 2000 hectares of basins and channels. I finally got my time travel, a chance to see and share what it must have been like, back in my marshes due west, 200 years ago. The chance to see this unusual harvest, the fruit of the sea, of the wind and the of sun in an almost biblical trilogy! So, how does it work? Well, first you need an Ocean, in this case the Atlantic. Then you need an estuary, with ramifications of channels going inside flatland prairies and marshes. The channel will feed smaller channels that will feed man built basins, themselves feeding smaller basins where only a film of water would be kept. The water, first regulated by large wooden locks was finally allowed through simple small slates, gathering important trace elements from the estuary, making it one of the finest salts in Europe. 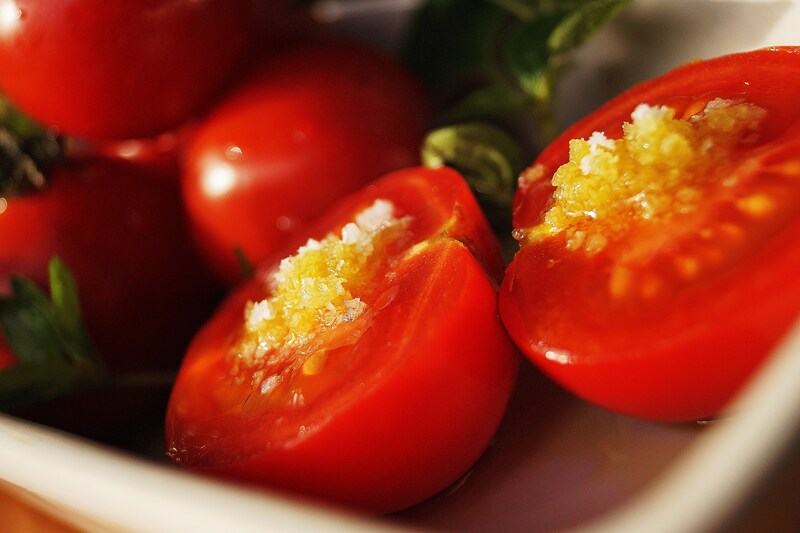 The top layer is the cream, called fleur de sel or Flower of Salt; a delicate hand harvested condiment for fish, tomatoes and roasted vegetables. The bottom part makes the famous grey coarse salt, ideal for cooking and, so you know, quite low in sodium! The Salt Harvesters have a co-op system, and it could be five years before you can benefit from your own financially, so the state helps at the beginning. I was really excited to see some Irish producers from West Cork or Mayo having a go at producing, like in Brittany, unprocessed sea salt, the methods and initial support for production might be a bit different but yet, they all share the same trilogy of elements and an uncompromising bond and respect for the product and the environment. Real unprocessed salt, may it be Breton or Irish, is not your enemy. Salt is loyal, salt is wild, it is a cure for many ills and heals wounds, it preserves and protects. As a seasoning, may it be on your last sweet tomatoes of the year, on a simple pan fried white fish or the secret ingredient to a chocolate sauce, think traditional, unconditional sea salt in your cooking! I love your post, and I love that you love that salt and talk about it this way! You know, I’m a very urban girl, but with time, i realize more and more how planet Earth used to provide us with everything we needed. Although I love progress, love our modern times and how industries can prove efficient in regards to production matters, but I can’t refrain from thinking we are wasting all the good natural stuffs that our planet originally had to offer. I mean, Humanity has lived for thousands of years before the very first factory even came out to the world and no food was evil monster as you said! So I think we totally agree on this! This is it… I am encountering a lot of personal conflict when it comes to food and the way we treat our “Blue Ship” like I like to call it. We could do so much better that would make us and future generations feel so much better in so many ways and without returning to the dark ages. Yum! is that a different version from the Apple and Caramel Pie that you posted about 2 months ago? In all cases I love all apple-based cakes…! Yes, this is the traditional “Gateau Breton”, a bit like gateau Basque; but I have put some fresh apples in the middle of this one! ( And I might even make a caramel sauce as well 🙂 ) It is very dense but delicious with a strong cup of coffee or black tea!